These letters were written by Hiram Payne, Jr. (1842-1906), the son of Hiram M. Payne (1802-1882) and Mary (“Polly”) York (1806-1860). Polly York was the daughter of Rev. Manasseh Miner York (1768-1830) and Rebecca Elizabeth Arnold (1773-1845). In the first letter, Hiram mentions his “Aunt Sal.” This was Sarah (“Sally”) E. York (1812-1864). Hiram also mentions his siblings, Helen E. Payne (b. 1832), Frederick (“Fred”) Payne (b. 1834), E. Miner Payne (b. 1839), and Forrest H. Payne (b. 1843). A pension file indicates that Hiram was married to a woman named Mary L. Payne and residing in Montana when he died in 1910. In May 1861, Hiram Payne Jr. enlisted for two years as a private in Company E, 23rd New York Infantry. He served until May 1863 when he mustered out at Elmira, New York, as a sergeant. 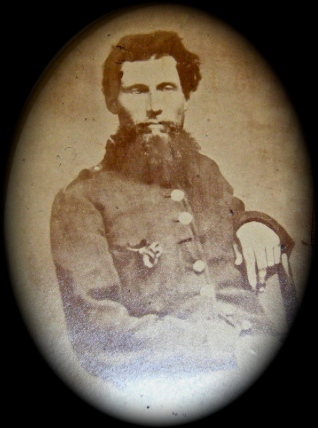 Company records indicate that he was promoted to sergeant as early as July 1861. Joining him in Company E was his younger brother, Forrest H. Payne who enlisted as a corporal and mustered out as a sergeant in 1863. 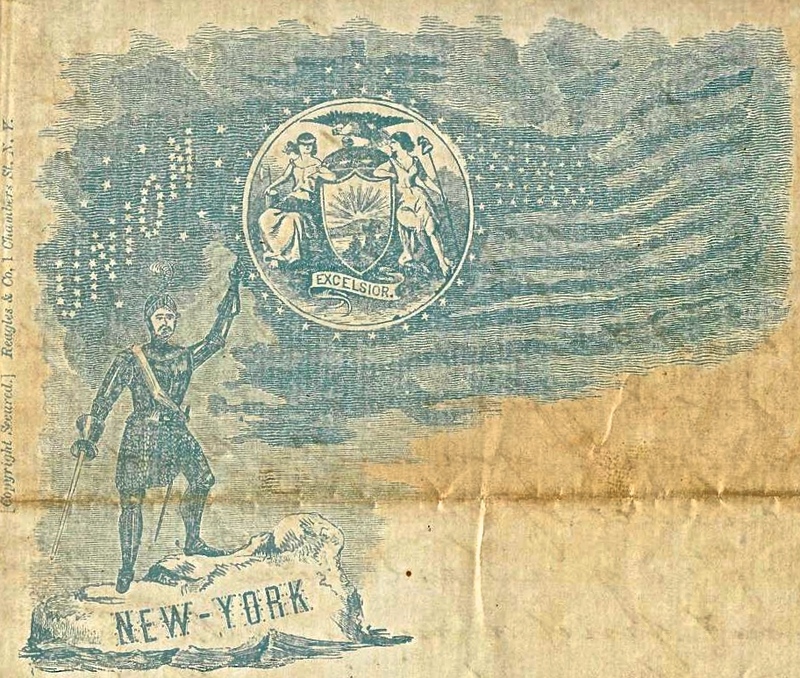 The 23rd New York Infantry left the state for Washington on 5 July 1861. For two, weeks it was encamped at Meridian hill, but moved on July 23 to Fort Runyon and on Aug. 5, to Arlington heights, where it remained until Sept. 28. On Aug. 4, it was assigned to Hunter’s brigade; on Oct. 15, to Wadsworth’s brigade, McDowell’s division, and in March, 1862, to the 2nd brigade, 3d division, 1st corps, Army of the Potomac. Its first encounters with the enemy were at Fall’s Church, Ball’s cross-roads, and Munson’s hill, losing in these engagements 1 man killed and 7 wounded. On March 10, 1862, the regiment moved to Centerville, but returned after five days to Upton’s hill, proceeded to Bristoe Station and Falmouth and undertook several expeditions with Falmouth as a base of operations. On June 26, 1862, the regiment was attached to the 3d brigade, 1st division, 3d corps, Army of Virginia, with which it shared in Gen. Pope’s campaign, being in action at the Rappahannock, Sulphur Springs, Gainesville, and the second Bull Run. In September, the brigade and division became part of the 1st corps, Army of the Potomac, and fought at South Mountain and Antietam, with a loss to the 23d; in the latter battle of 42 killed, wounded and missing. Until Oct. 20, the regiment encamped at Sharpsburg, Md., then moved toward Fredericksburg and was closely engaged in the battle there in December. Winter quarters were established at Belle Plain and on Jan. 9, the regiment was transferred to Patrick’s provost guard brigade, with which it served until the expiration of its term, stationed at Acquia creek in April and May, 1863. On June 26 the command was mustered out at New York city, having lost 17 by death from wounds and 55 by death from all other causes. Hiram wrote the first letter to his cousin, Vestia Carr (1842-1913) of Savona, Steuben County, New York. She was the daughter of George Washington Carr (1802-1872) and Miranda York (1800-1882). Vestia later married Joseph E. Covell (b. 1842). Her brothers were Charles Miner Carr (1835-1863) and George Manasseh Carr (1847-18xx). From this letter we learn that the Payne family have recently relocated to Waverly, New York, just months after the death of the family matriarch, Polly (York) Carr. It appears that Hiram was studying law in the office of John S. Hopkins in Waverly at the time he wrote to his cousin. The second letter was written to his cousin, Charles M. Carr, from Camp Upton — not far from Washington D.C. where the 23rd New York was encamped late in 1861. Hiram advises his cousin to consider recruiting a company of men on his own which would enable him to be commissioned as an officer of the company. 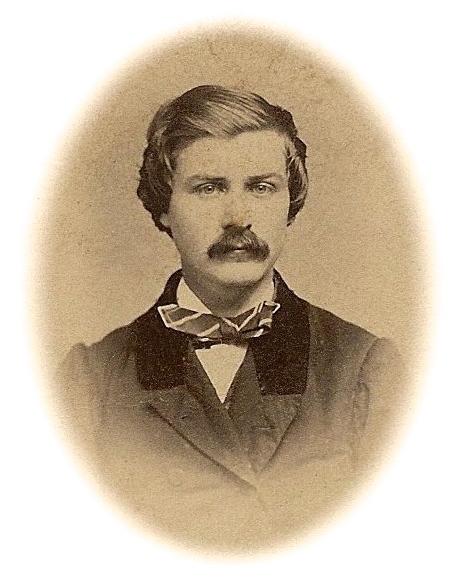 “A private,” he warns, “stands little chance of promotion.” Discarding his cousins advice, or being unsuccessful in raising a company on his own, Charles M. Carr enlisted in August 1862 at Bath to serve three years in Company D, 161st New York Infantry. He did not survive the war, however. He died in a hospital in Baton Rouge on 9 September 1863. Trusting to your unbounded good nature for forgiveness for not writing to you sooner, I now take my pen to let you know how we are situated in Waverly. As for myself, I am situated in an arm chair in the office of a young lawyer by the name of [John S.] Hopkins with an open volume of Blackstone before me — and an infinite number of books, papers, &c. &c. scattered in multitudinous disarray around. Father is at the water cure in Elmira. I do not know whether he is sick or imagines himself to be so. Helen & cousin are keeping house and grumbling at the hard work they have to do which in reality is no work at all. Forrest has just got back from Wyalusing and at present is helping Miner in the store. Tell [your brother] Charles I have heard nothing about the fair at Elmira. As soon as I do I will write and let him know. It is of so little moment in consequence of the Presidential contest that the papers do not even notice it. Write soon and let me know how you are getting along & especially if you have heard from Valentine lately. You are probably much disappointed in my not saying anything about Sophia but I will mention her in my next letter. I have just received your letter, have only time to write a hasty answer to it. I was very glad to know that you intend to enlist. I have not seen Lovel lately. Will see him tomorrow and give him his letter. I have been on the sick list for ten days past, am better today. Charlie, if you can come to this war as a commissioned officer, do so by all means. You will stand no chance of being promoted after you have enlisted. why not find a man with the rocks and join with him in getting up a company. Do it if it is possible. If you see a sight of an officer in a company, don’t enlist as a private. I would never enlist as such again. I might now be a commissioned officer if I was not in such a hurry to enlist when I did. A private stands little chance of promotion. Our regiment has just been paid off. We receive our pay every two months. My pay as sergeant is $17 per month. If I had not been in such haste to enlist, I might now be getting five times as much. Brother Forrest is well and enjoying himself. Give my love to the family. Co. E, 23rd Regiment, N.Y.V. …”Old Dominion.” It was not a pleasure trip, however — “no indeed” (Va. phrase). Four four weeks on the move, halting but a few days at a time, living on “hard tack” and bacon, nothing to be bought, deprived of the soldier’s consolation Tobacco, no mail or news from home, nothing to read except that Testament and Encartedeck. No! it wasn’t a pleasure trip. We are back to our starting place, are encamped opposite Fredericksburg. What a contrast the city and the camp present to the same places when we first came here two months ago. Then everything was dull and dismal. 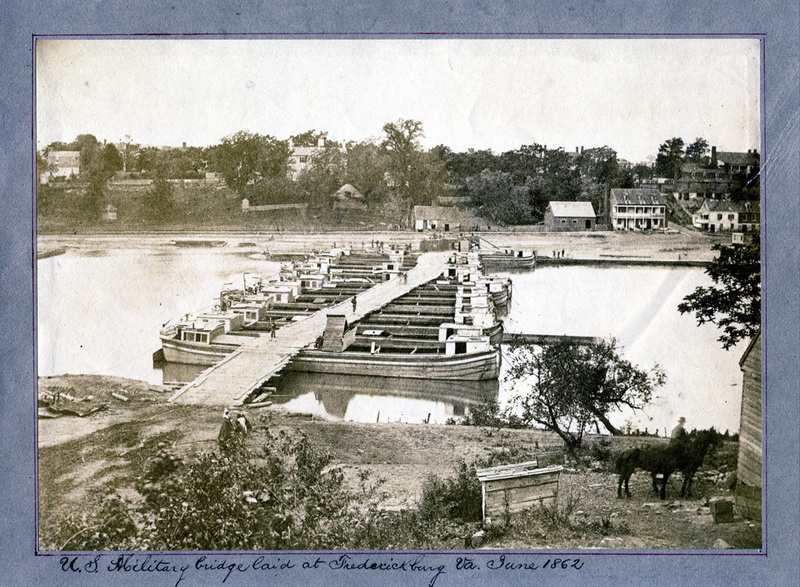 Now Fredericksburg is alive with trade and enterprise, many speculators from the North have flocked hither. The camps are arranging with peddlers with everything in the shape of necessaries and luxuries to sell. We have just received two month’s pay and the boys are regaling themselves with a gusto after their long fast. This entry was posted on Friday, July 4th, 2014 at 5:19 pm	and posted in Uncategorized. You can follow any responses to this entry through the RSS 2.0 feed.